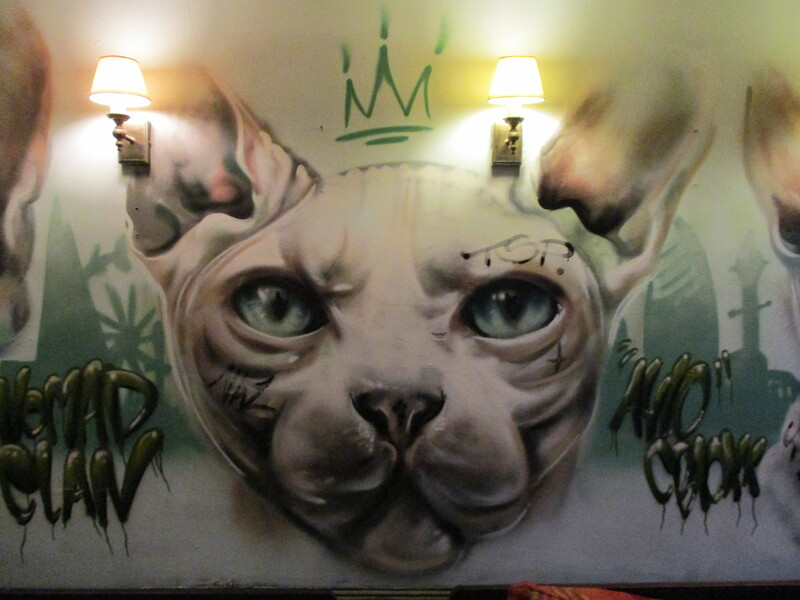 Last week whilst visiting London, Manchester based duo Aylo and CBloxx, aka The Nomad Clan, had a hard time getting any work done outdoors due to the near constant rainfall that befell the city, so decided to find somewhere indoors to work their magic, which resulted in them painting one of the walls in the backroom of Monty’s Bar in Brick Lane. 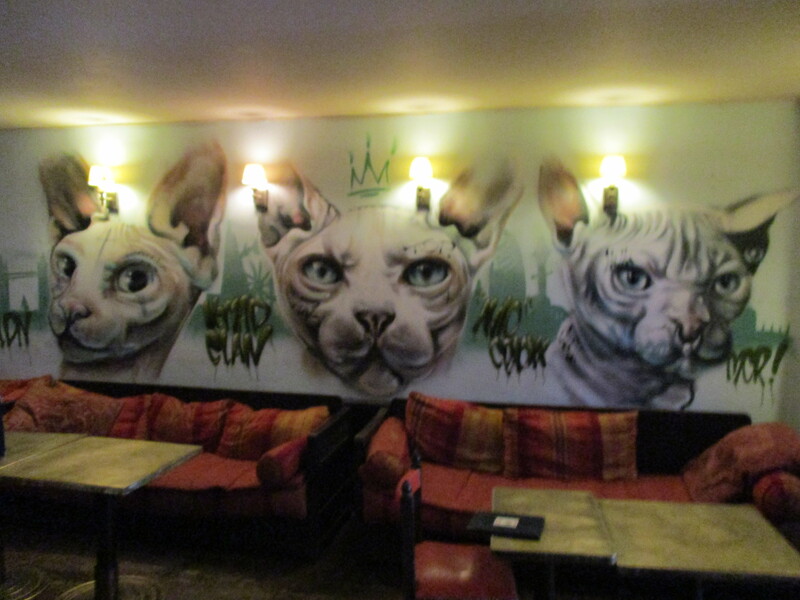 Working to a regular style of theirs by painting hyper-realistic portrayals of the disenfranchised, the sullen, or the unconventionally beautiful, as in this case with their trio of Sphynx cats, a breed of cats that really divide the line in terms of popularity. 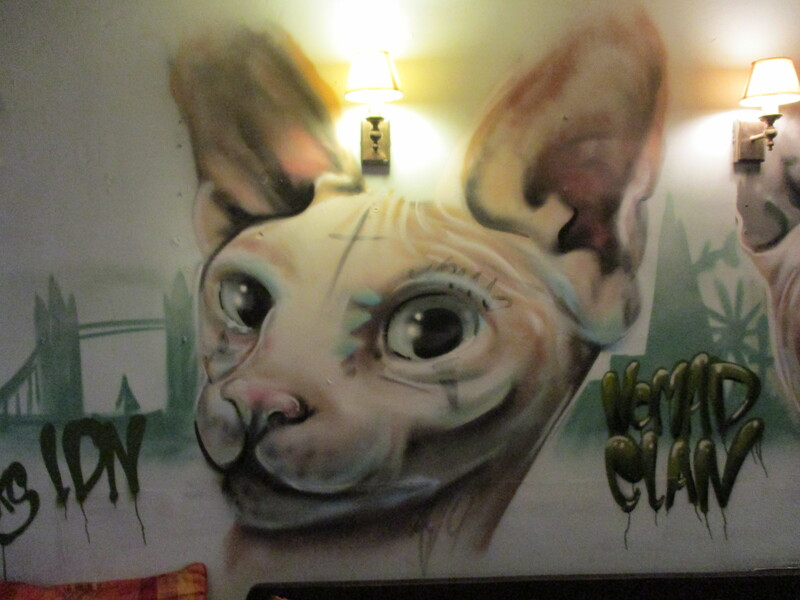 Set amid and either side of the cats are silhouettes of some of London’s prominent land marks, making for a surreal juxtaposition with the main subject, but paying homage to the city they are visiting. 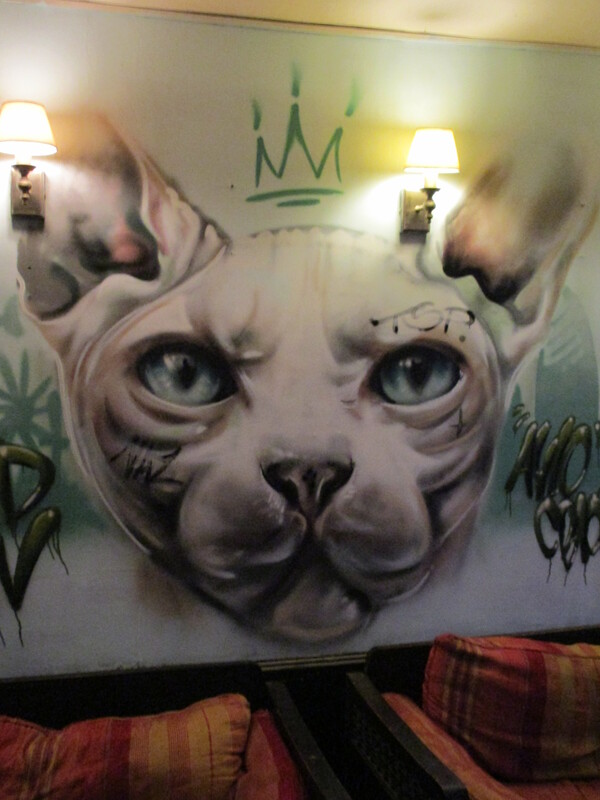 Our favourite is the Cat on the right with the nose ring, adding that anarchic touch that is so often prevalent in this pairs works. 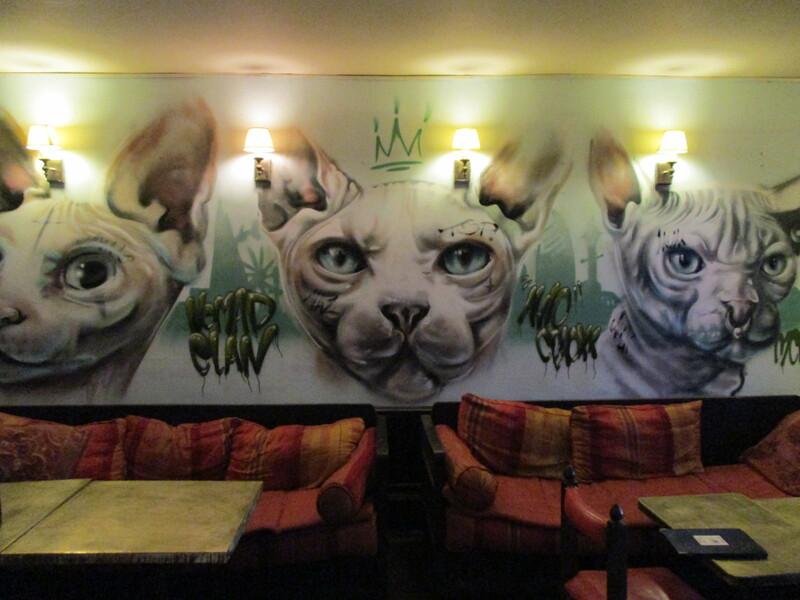 This work is certainly a superb addition to the Street Art that paradoxically graces the indoor walls of Monty’s Bar, a place worth a visit for many reasons, but certainly for its artwork, with great pieces to be seen from Fio Silva, Theiu, Hmmm Bates & Grafeeney at current. 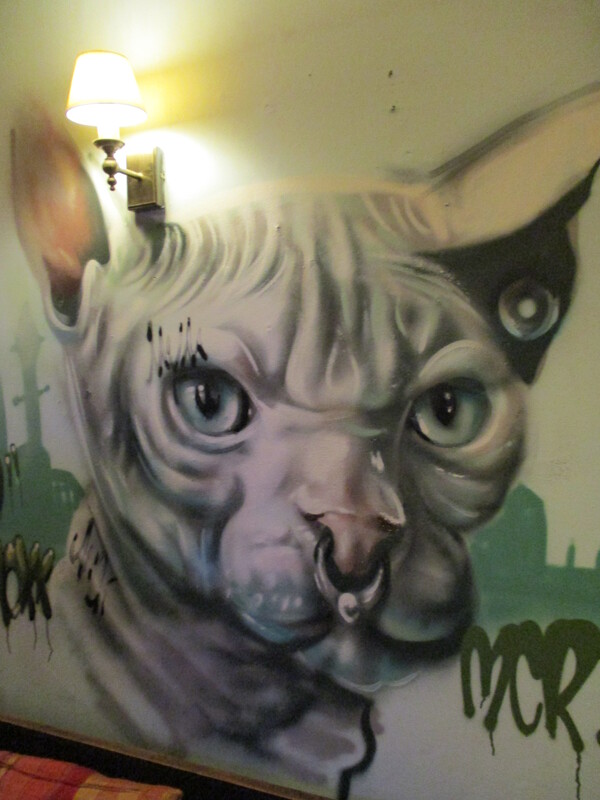 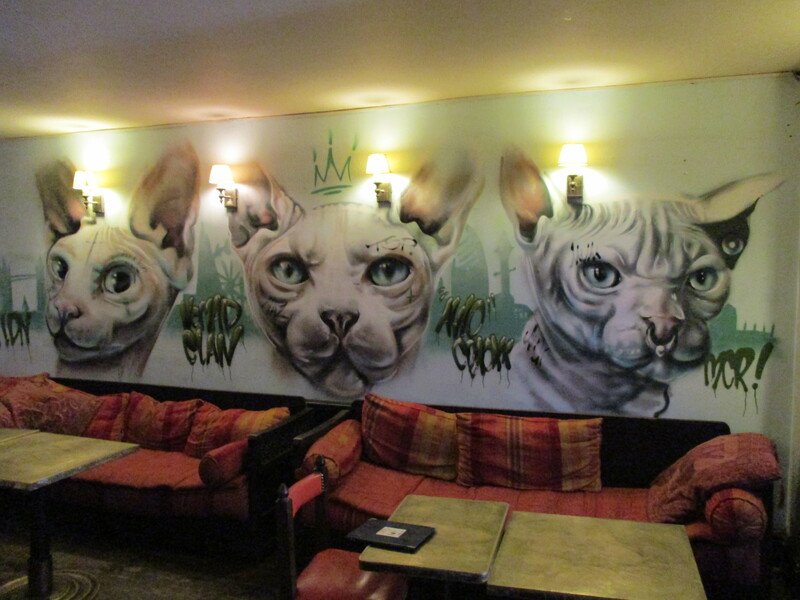 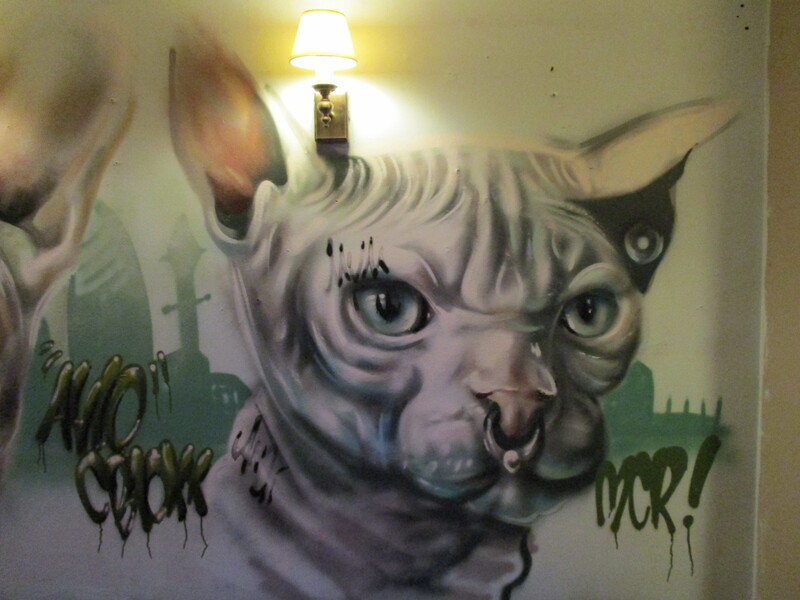 It’s always a pleasure to have this pair visit London, as they never seem to resist the chance to paint something somewhere and until the next time, enjoy these cats and if you are in the area, head along to Monty’s Bar to check them out.